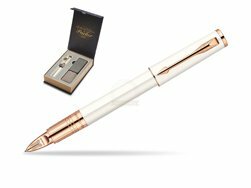 We offer to You Parker T2016 gift box with notebook and Parker Ingenuity Pearl Lacquer PGT Parker 5TH Technology, slim model. The Parker Ingenuity Collection has been created for exclusive use with Parker 5TH Technology. This collection of unparalleled style and elegance makes this writing system the ultimate accessory for today’s stylish man or woman. Set is ideal as a gift for everyone on all kinds of occasions like birthdays or as a Parker Christmas gift. 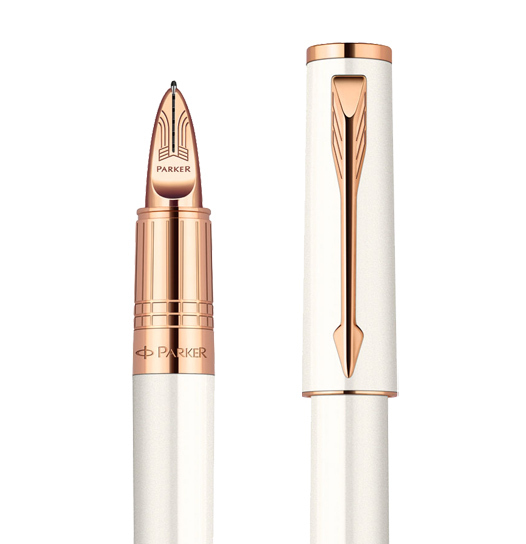 This product is perfect for all companies who wants to give Parker gifts for their investors or partners or for everyone as a gift for someone who demands highest quality in writing. Once you feel the grace and fluidity in writing of this product you can get Fountain Pen and Rollerball Pen matching to the set. This Parker Ballpoint Pen can be refilled with every Parker Ballpoint refill. PSubtle and feminine lacquered in pearl white colour with a sparkling iridescent touch finish. In line with the style of the latest collections of fine jewellery elegantly engraved with the emblematic ciselé pattern and PARKER logo on its grip section. Coated in Pink Gold PVD trims. 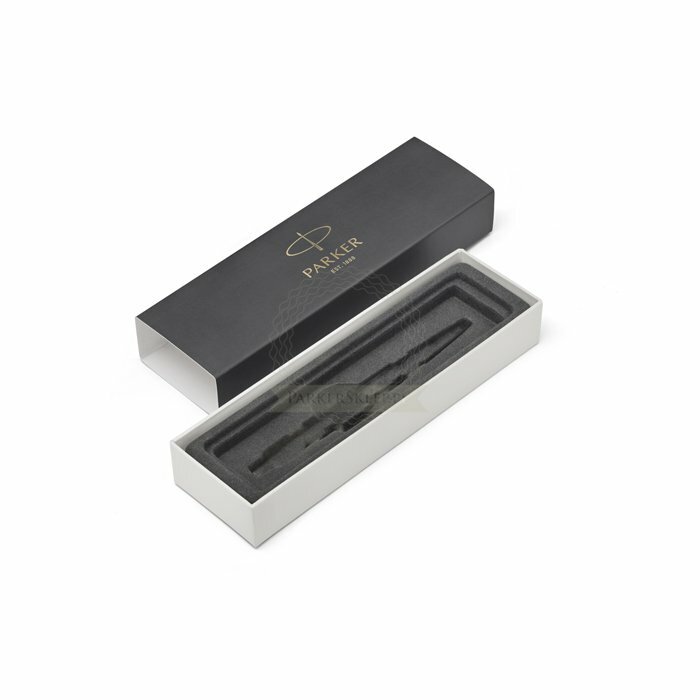 Parker 5TH Technology Has a flexible tip which interacts with the metal hood, and is finely engraved with the emblematic PARKER Barrow. Provide an exceptionally smooth and fluid writing experience, with an intense and sharp rendering, adjusts intuitively to the user's style of writing, in just a few words and a highly innovative technology that ensures a clean and simple refill process. This 5th Element Pen comes with a 5th element refill in random colour Black or blue. Presented in its PARKER special gift box designed for one Parker product. Notebook included.